Military drones are taking over the skies. Not only are they being used to fight wars, they are also in use for security and traffic control over non-worn torn countries. 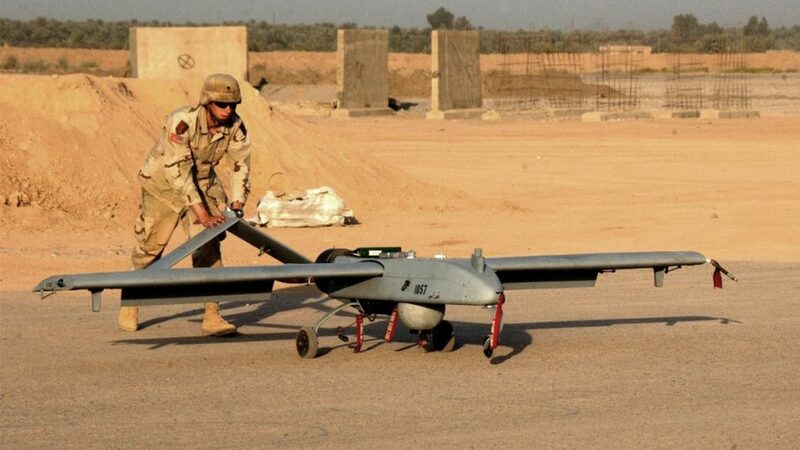 There are many uses for the many military drones, and we’re happy to report that they’re not all just killing machines. Surveillance is the main use of the average military drone, gathering intelligence to save lives, and report speeders on freeways. We don’t want to get caught up in the politics and ethics of unmanned aerial vehicles in warfare, we are just here for the technology. Side note: I was driving past an Air Force base recently, just so happens that it was presentation day, I could hear patriotic music playing as a Reaper circled above. Best part, another Reaper paced me along the runway as it took off to join it’s partner in the sky. I wish I had clearance to participate. Before we begin: I am originally publishing this post on November 11th, 2017. 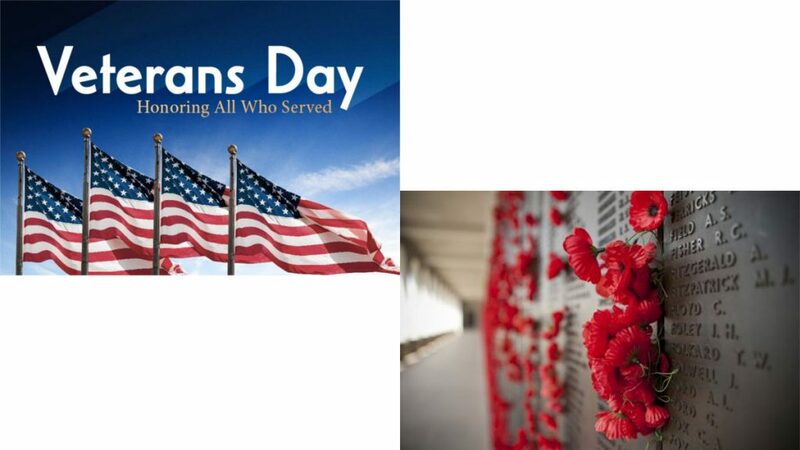 This is Remembrance Day in some countries, Veterans Day in the United States. I want to take a moment to thank all who have served, especially for their sacrifices to keep us safe. I know that I get to fly a hobby drone without fear of personal safety because of your efforts. My family members that served in the Air Force got to fly home safe, I wish that all families of all airmen could say the same. For all of the men and women who served in any capacity but did not make it home, you are remembered. To all that have served to defend the innocent and are still with us, I thank you. Military drones come in many shapes and sizes. Most of us think of the larger Predators, Reaper and the Global Hawk, but we forget about the smaller machines with more specific uses. The Global Hawk has a wingspan of almost 131 feet, but the Black Hornet Nano easily fits in the palm of your hand. Flying most military drones is also nothing like flying our quadcopters at home. I can easily manage all aspects of a Mavic Pro by myself, whereas it takes four trained operators to control the ground station of the MQ-4C Triton. Most branches of the military classify these aircraft in several ways. Some by weight, some by capability and so forth. The DoD in the U.S. has five groups of UAS they consider. These are fairly broad groupings, but at least you aren’t stuck with a single craft per group. That being said, there are multiple craft per group, so we’ll pick and choose a few favorites for our little list today. Please forgive us, this will not be your full guide to all things military craft, we just want to give you a taste of the machines our governments are flying over our heads. I know we promised a palm-sized craft, but we’ll start with the Wasp instead. The first versions of this craft weighed in at just under 1 lb, one version for land, the other for water. The upgraded unit weighs a little over 2 lbs, but can land on water or ground. 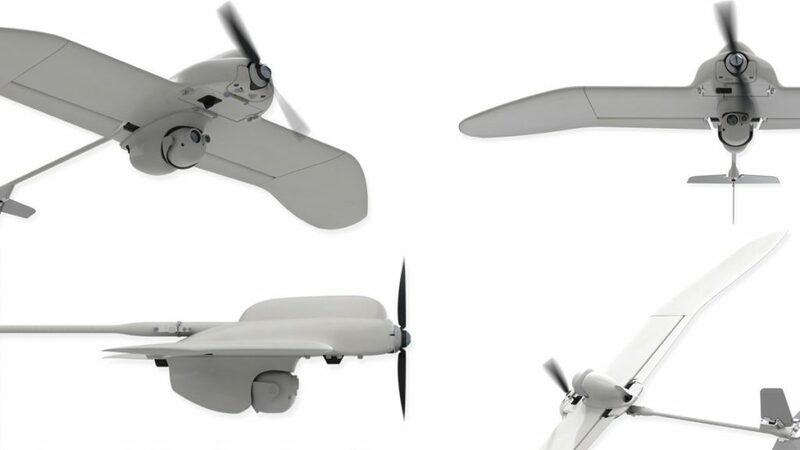 This folding drone packs camera sensors under a 29-inch wingspan. Soldiers can pack this machine into a backpack, then get 45 minutes of flight at up to 40 mph for basic reconnaissance and surveillance needs. 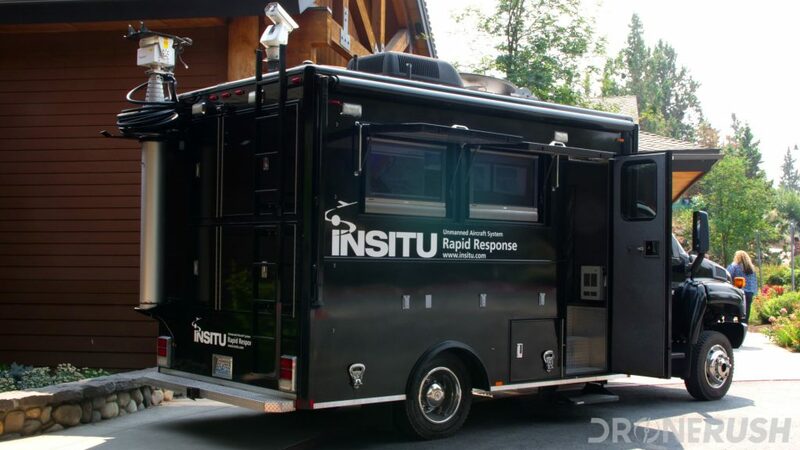 I met up with Insitu at SOAR Oregon in August 2017. They were showing off their collaboration with Fire What? in order to put real-time fire maps into the hands of forest firefighters on the ground. Their high flying ScanEagle is small enough to soar high out of the way of firefighting efforts. Not too small though, it’s large enough to withstand the winds present at upwards of 20,000 feet. 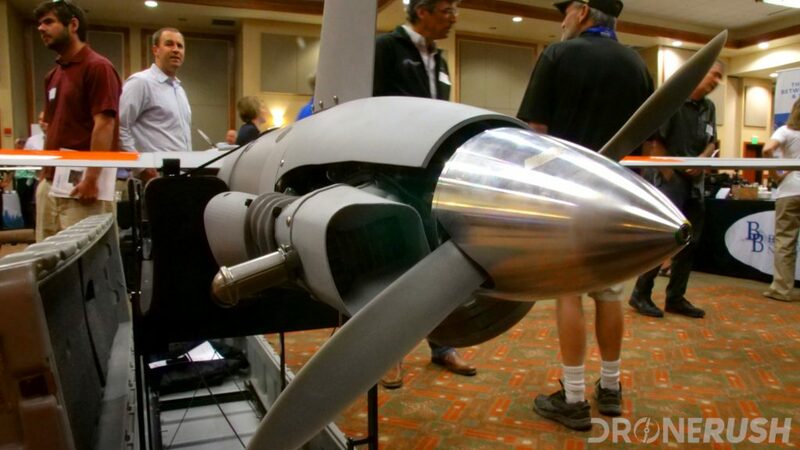 ScanEagle is a 40 lb drone able to fly up to 92 mph. The neat thing about the ScanEagle is that you do not need an airstrip. The craft does not have landing gear. Instead, it takes-off out of a launcher, which extends into a retrieval system. The end of each wing has a hook, that hook catches the cable held up by the extended launcher. The drone never has to touch the ground. 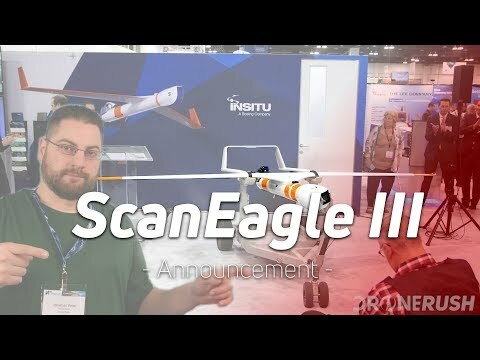 We had a front row seat to the announcement of the brand new Insitu ScanEagle III at AUVSI Xponential 2018 in Denver. I want to be as clear as they were, the ScanEagle III was built specifically for commercial operations, not military, but it will serve for the military as well. Long flight times and solid payloads make for a solid machine for surveillance and more. Using the same basic design as the ScanEagle, the Blackjack is nearly double the size in dimension and almost exactly double the weight. Flight capabilities are near identical as well with the main exception being the payload. Service persons can load nearly 55 lbs of cameras and other gear onto the Blackjack. The launcher and cable retrieval system is proving popular with an estimated 545 Blackjacks alone in service around the globe. 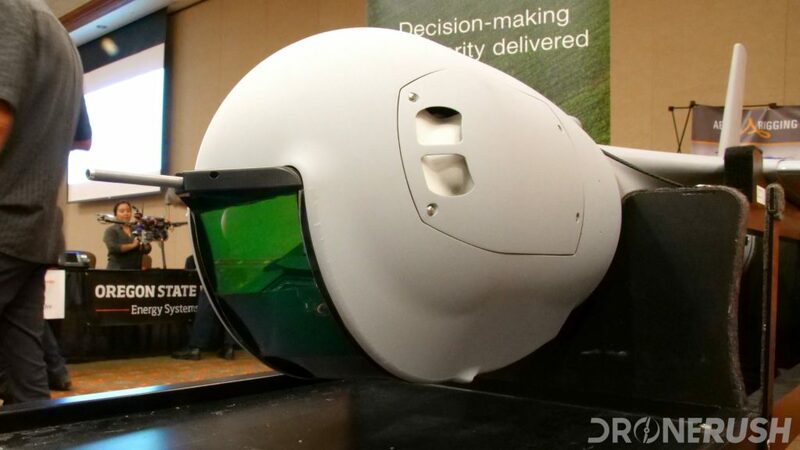 The modern military drone is not so modern, as it turns out. Most of these machines have been around for a while, with early unmanned craft dating back to WWI – that said, the earliest service flight records I could find date back to the Korean War. The AAI RQ-7 Shadow is not that old, with its first flight in 1991. Clocking in at 375 lbs, and an optional 14 or 22-foot wingspan, the 127 mph top speed machine can soar for six or nine hours, depending on the wings. 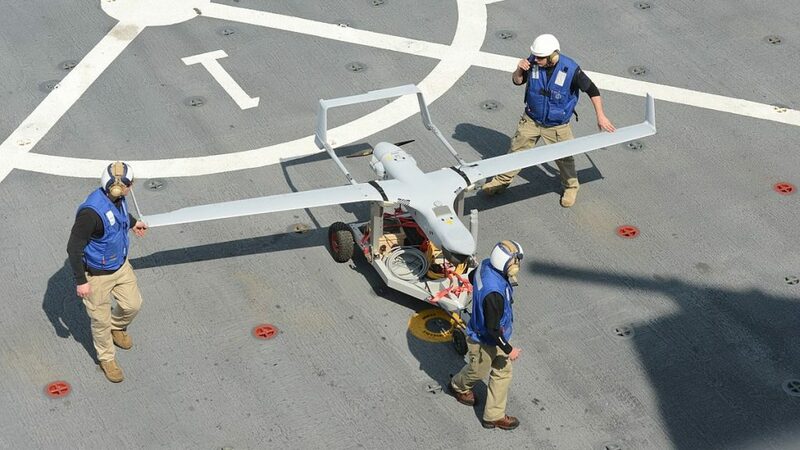 I think this is one of the more recognizable smaller military drones, with the V-shaped tail. You know this drone. At least I assume you do. 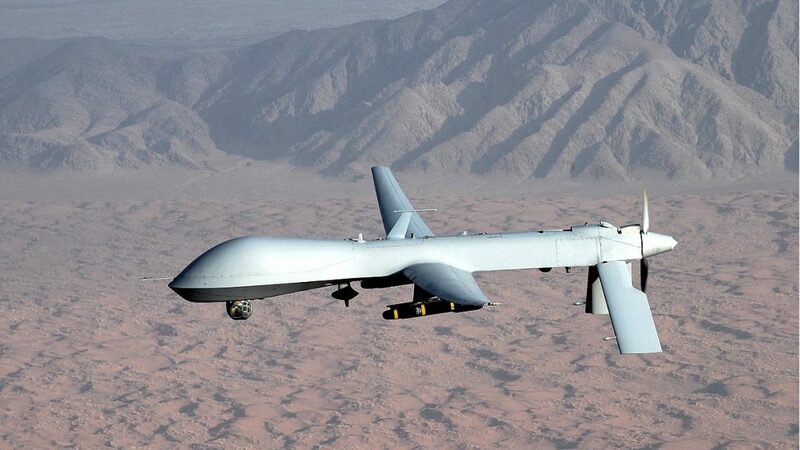 The Predator has been the military drone of choice for the entertainment industry, you’ve seen the war movies or TV shows with military drones, they use this one. Flying since 1995 itself, the iconic bulbous nose and downward facing V tail of the Predator became popular. Praised for its reconnaissance abilities, later versions of the machine offered two mount points for Hellfire missiles, AIM-92 Stingers or AGM-176 ground target missiles. With a max take-off weight of 2250 lbs, the 50-foot wingspan drone is powered by a 115 hp engine, cruises up to 135 mph at up to 25,000 feet and can stick to the sky for as much as 24 hours. Update, March 2018: The US military is retiring this drone. 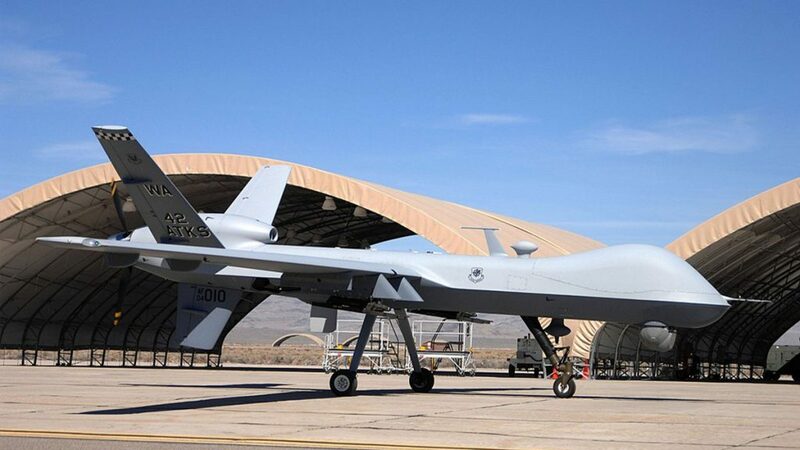 Newer and more powerful machines are pumping out, the MQ-1 Predator will stop flying soon. If a little predator is good, a big predator must be better. Expanding on the initial Predator, the Predator B, more commonly called the Reaper, inverts the V of the tail to point up like a normal plane, but maintains the same general design. Instead of being powered by a puny 115 hp engine, bump that up to a 900 hp beast. The larger craft is about 65 feet across with a max flight weight over 10,000 lbs. Flight time is reduced to about 14 hours, but it can scoot along at 300 mph at a maximum of 50,000 feet. Reconnaissance may be in its blood, but seven mount points for armaments tells me that this is a war machine. Of all the military drones, this one may be my favorite. Not because NASA has one flying around, more because this is just a big airplane that has no seats. Actually, I just like the look of it, personal taste. First flying in 1998, this massive drone really does read like an airplane on the spec sheet. 130 foot wingspan, take-off weight of 32,000 lbs, maximum speed of 391 mph, a service ceiling of 60,000 feet and enough oomph to stay in the air for over 32 hours. 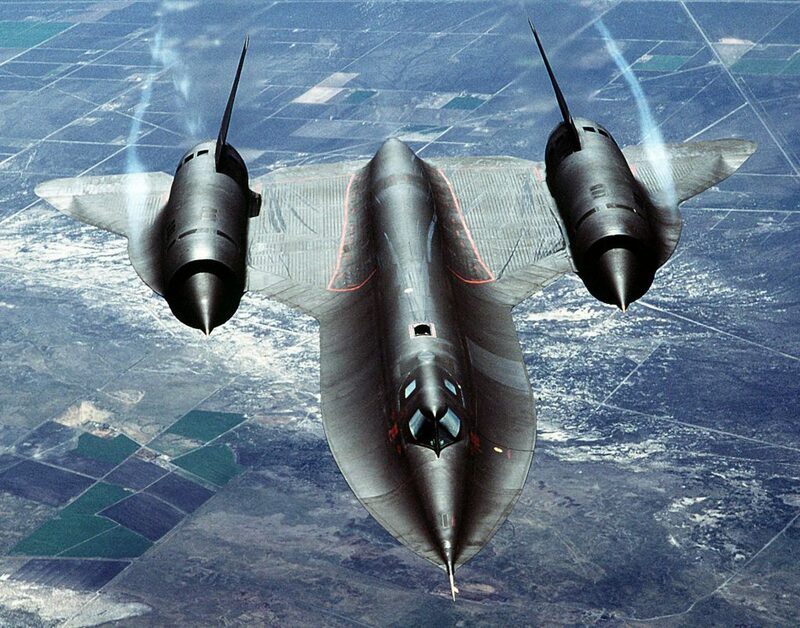 The SR-71 Blackbird is one of my all-time favorite airplanes. It typically flew at very high altitudes over enemy territory on surveillance missions. The Blackbird is almost uncomfortably (dangerously) slow at 391 mph, otherwise, the Global Hawk performs many of the same duties. As I’ve mentioned, there are many drones in use around the globe by the military. Small machines like the Snipe are fairly simple craft, high-quality electronics in a toy-class drone. The big aircraft are certainly another topic. Some of these machines you can get your hands on. We’ll explore them in a future update to this post, for today, especially for Veterans/Remembrance Day, I simply wanted to share the info about some interesting machines in use. 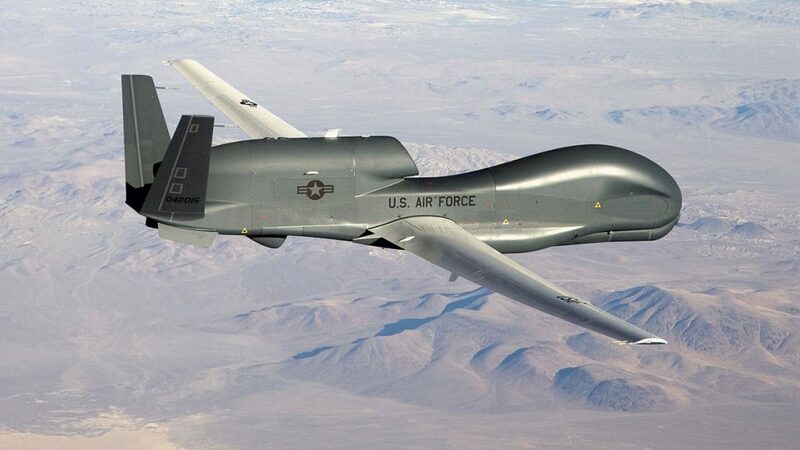 What is your favorite military drone?